ROYAUME UNI – Londres - A flint axe is displayed during a photocall at the Museum of London on July 19, 2012 in London, England. 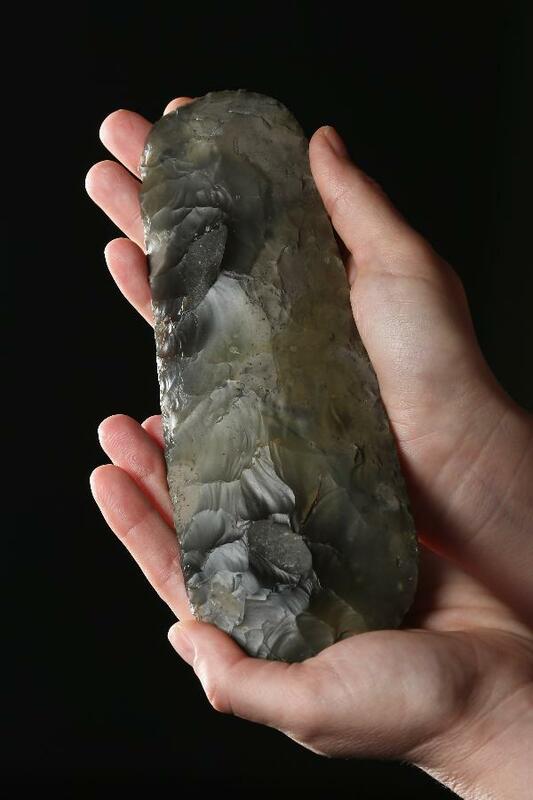 The prehistoric axe which is believed to be around 6000 years old, was unearthed by archaeologists ahead of the construction of the Olympic site in Stratford, London. The axe will be displayed along with the greater collection at the Museum of London. USA – La Crosse - Archaeologists monitoring reconstruction of Hwy. 35 are unearthing remnants — including possible human bones — of a Native American settlement that dates from nearly 500 years before the first white people settled La Crosse. Scientists from the Mississippi Valley Archaeology Center have found almost two dozen likely skeletal fragments as well as hundreds of food and garbage pits, cooking hearths tools and other artifacts of the Oneota people who inhabited the Onalaska area between about 1300 and 1600 AD. All burial sites are protected by state law, and Becker said any time remains are discovered during construction, the DOT must stop work and consult with the Historical Society for direction. There have been 23 such discoveries in the Onalaska project, but that doesn’t necessarily mean 23 graves. In many cases Arzigian said it’s no more than a bone fragment that will be sent to a skeletal analyst to verify it is human. About a dozen UW-L students and MVAC staff have been sifting through the sand about three feet under the road bed where dark splotches mark pits used to store food and later garbage. Other finds have included fish scales as well as clam and mussel shells and shards of large pots used for storing and cooking food. Smaller circles could mark where wood beams once supported homes or storage sheds, Arzigian said. 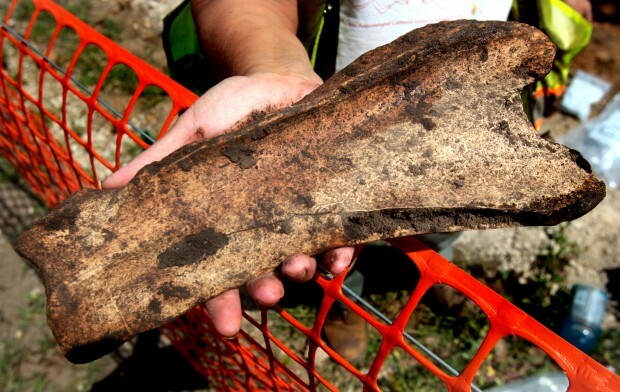 On Friday, archaeologists unearthed a bison scapula shaped into a hoe blade that would have been grafted onto a stick. They also found a bone sharpened into an awl used to make clothing from animal hides. The Oneota people were farmers, growing mostly corn, squash and beans, but also hunted deer and elk and caught catfish, drum, northern and other fish. Arzigian said the bison hoe was likely acquired through trade or crafted during a winter hunt on the western plains. Archaeologists knew there was a native settlement under the road, but Arzigian said they’ve been surprised by the density of features found — more than 400 pits in a four block area. Unlike other local sites, this one hasn’t been plowed or eroded. 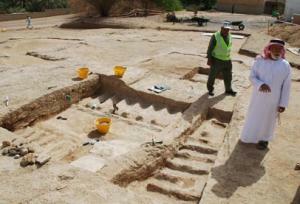 ABOU DHABI – - Al Khrais - Abu Dhabi Tourism & Culture Authority (TCA Abu Dhabi) has completed the first phase of archaeological excavations around the old Al Khrais village in the southern part of Al Jimi oasis in the emirate’s heritage heartland of Al Ain. Al Khrais was home to a community that moved out of the village in the early 1970s. “This site has great significance given its historical and heritage value, which provides insight into a way of life from the pre-oil era,” said Al Muhairi. “Al Khrais gives us examples of Emirati heritage houses and is a window to the past through which future generations will be better able to understand their ancestors’ lives.” Combining oral history and archaeology, TCA Abu Dhabi is focusing on documenting and protecting the ruins of these old settlements, most of which lie in Al Ain, which was last year inscribed in UNESCO’s World Heritage List. Since the 1960s, when the late UAE President and Ruler of Abu Dhabi, Sheikh Zayed bin Sultan Al Nahyan governed Abu Dhabi emirate, the population of the old villages around the oasis city has gradually left in a natural move from old clay houses to modern areas built near the old settlements. Some of these settlements, like Al Hosn, Al Moatared, Al Qattara, Al Hili and Al Khrais, were gradually abandoned and began to deteriorate allowing them to slip from the collective memory, except among the few people who once called them home. MEXIQUE – El Coporo - Mexican President Felipe Calderon inaugurated the archaeological site of El Coporo, a corner of civilization that flourished between 200 and 900 A.D., located in the central state of Guanajuato. El Coporo is the ninth pre-Columbian site opened during the president's six-year term and the fourth in the state of Guanajuato. INAH said that unlike other nearby areas associated with the Bajio tradition, this archaeological zone of northwest Guanajuato is linked culturally to the Tunal Grande tradition, which includes settlements in western San Luis Potosi state, southwestern Zacatecas and the Los Altos highlands of Jalisco. USA – Smithfield - After identifying longhouse features from an archaeological dig last year, students in the Oneida Indian Nation’s Youth Work Learn program have returned to the site this summer for further exploration. The Oneidas occupied the site in what is now Smithfield from roughly 1550 to 1575. 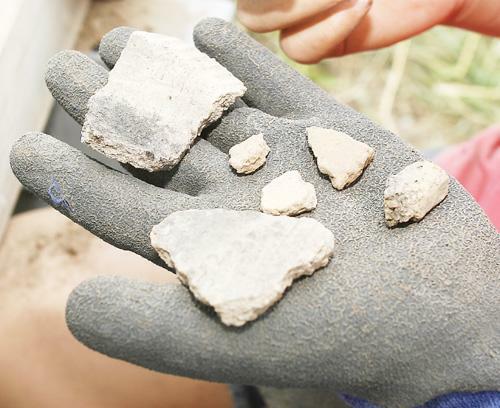 Previous digs at the property have unearthed arrowheads and pieces of ancient pottery; it is the last known site that exists without artifacts from white settlers, which is often the case with other sites. The land holds solely artifacts from the Oneida tribe. This is the second year the site has been excavated and that last year, ceramics, stone tools and animal bone were found in addition to post mold impressions. 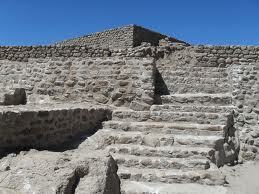 Remnants of a palisade, or outer village wall were also found.